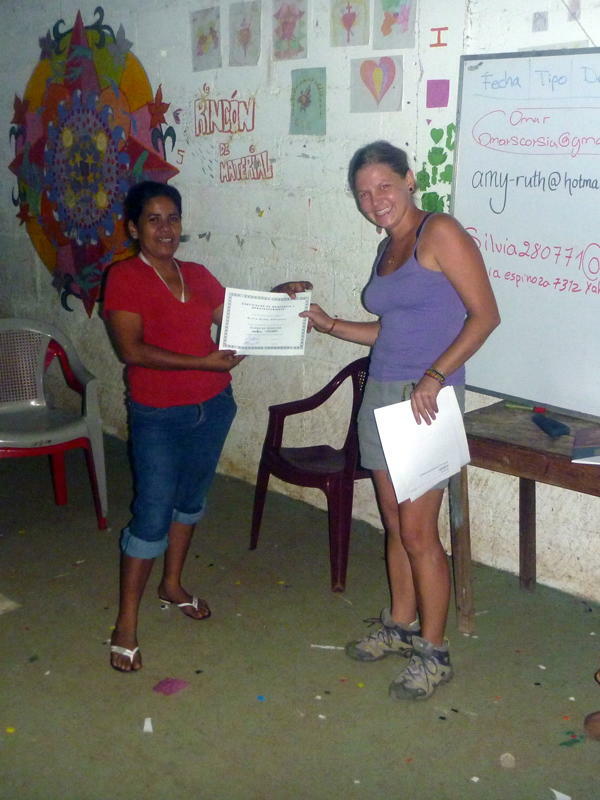 Gardens for Health International has introduced two Barefoot MBA lessons to new cooperatives. Feedback has been “excellent” so far, Julie writes. 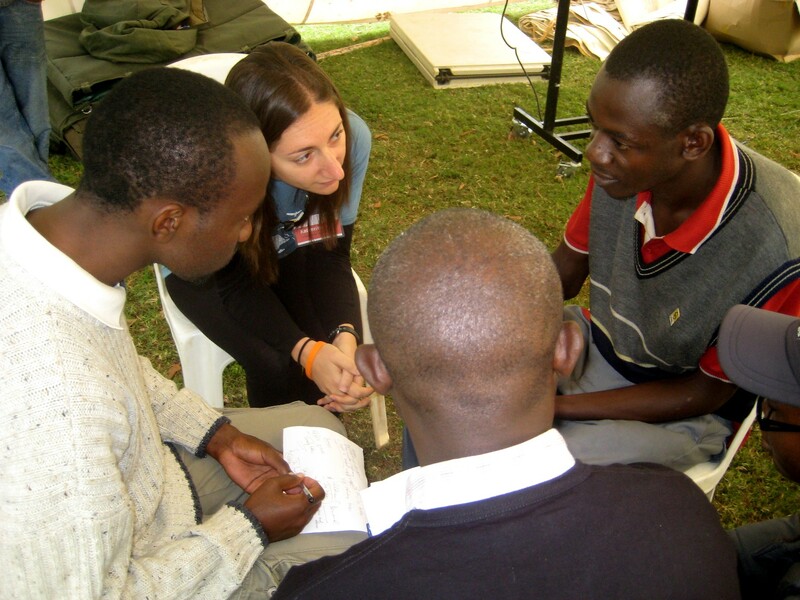 GHI’s Barefoot MBA adaptation is now posted on the curriculum page. 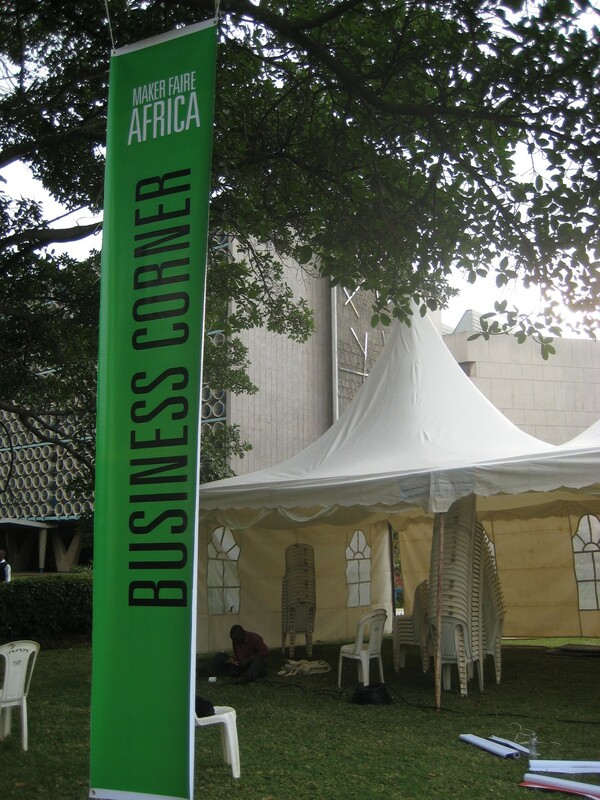 Mechai Viravaidya, the social entrepreneur who inspired the Barefoot MBA, mentioned it during a recent TED talk. The entire video is nearly 14 minutes; the relevant portion starts around 10:45. ATOP A HILL NEAR NDERA, Rwanda — The members of the Komara cooperative arrived at today’s Barefoot MBA workshop by foot, some walking more than three hours to arrive at the health center we used as a classroom. They’d been asking for basic business training for a long time. 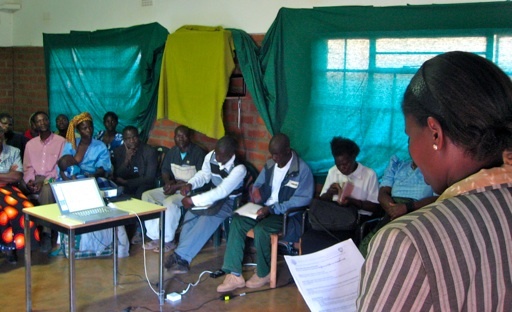 After Sunday’s brief introduction, the field officers took turns teaching the lessons they’d been practicing at Gardens for Health (GHI) headquarters. Each field officer was more energetic than the one before, electrifying the room like dynamic preachers. 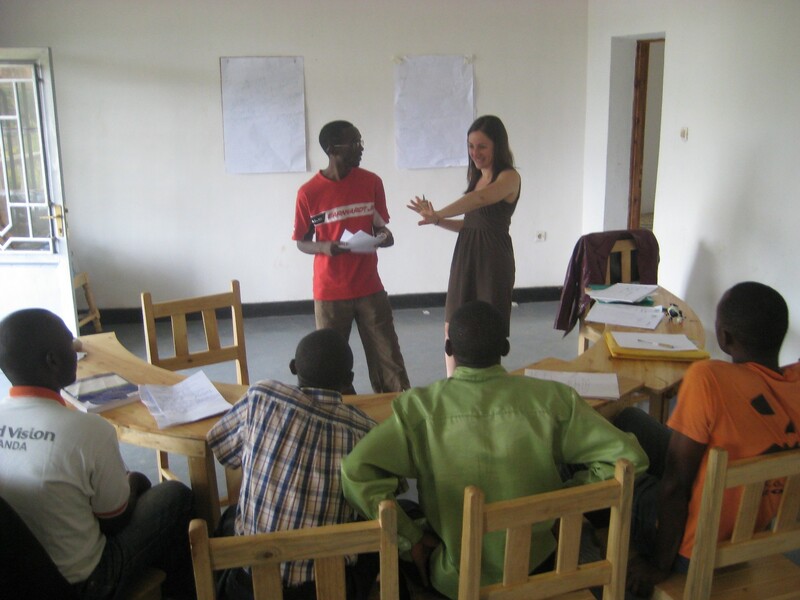 In the back of the room, wishing I understood Kinyarwanda, I wondered to myself whether they were teaching something else entirely. No, said those who understand both languages. The field officers taught profit, saving and investing using our stories and local examples. 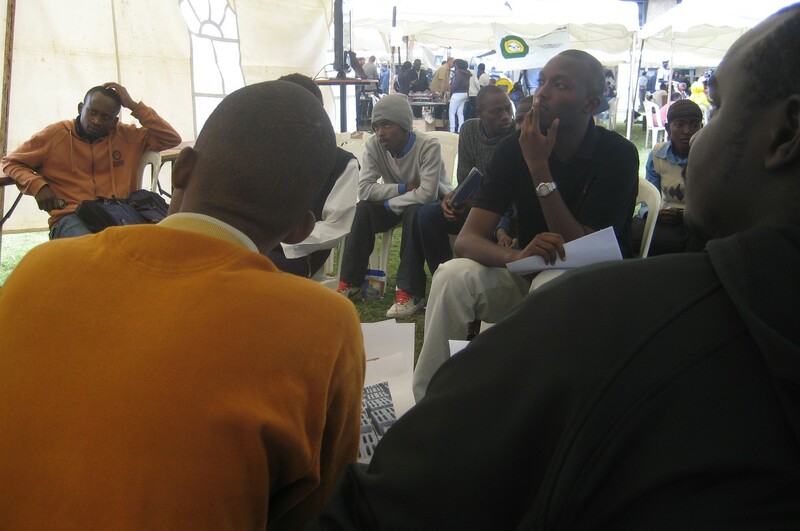 They facilitated the interactive investing activity. The cooperative members participated politely. They wanted more. Once again the activity was the highlight. They learned from the stories, they said, but putting theory into practice right away prompted them to commit to doing things differently: One said he would focus on profit, not just revenue. Another said she would save at least some of his earnings instead of spending it all. A third said she would spend at least some of her income on something that predictably increases in value. And once again I found myself pleasantly surprised at how broadly applicable our tool is. 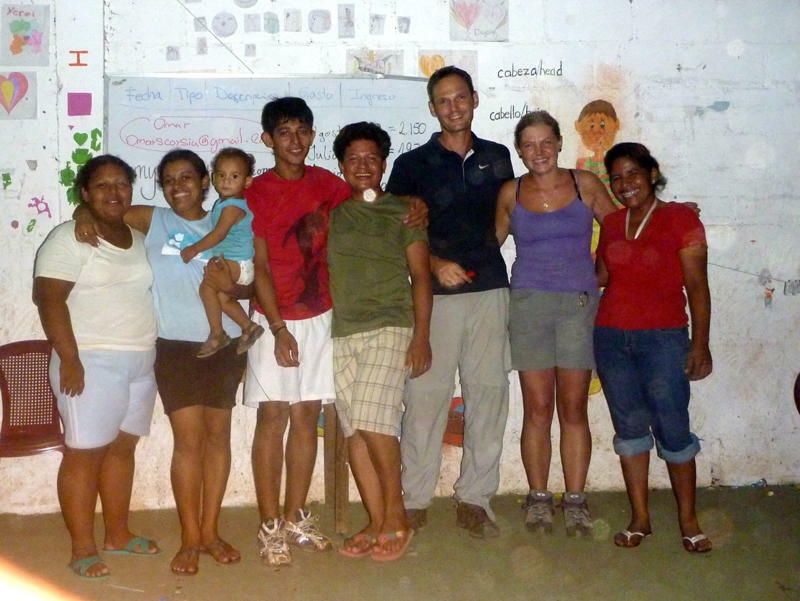 Scott and I hadn’t heard of GHI when we created the Barefoot MBA, yet with relatively minor preparation the two became excellent fits for each other. My biggest regret today is that we didn’t make time for more. As we left (or, more accurately, tried to leave), cooperative members articulated more lessons they’d like to learn, each of which the Barefoot MBA addresses. 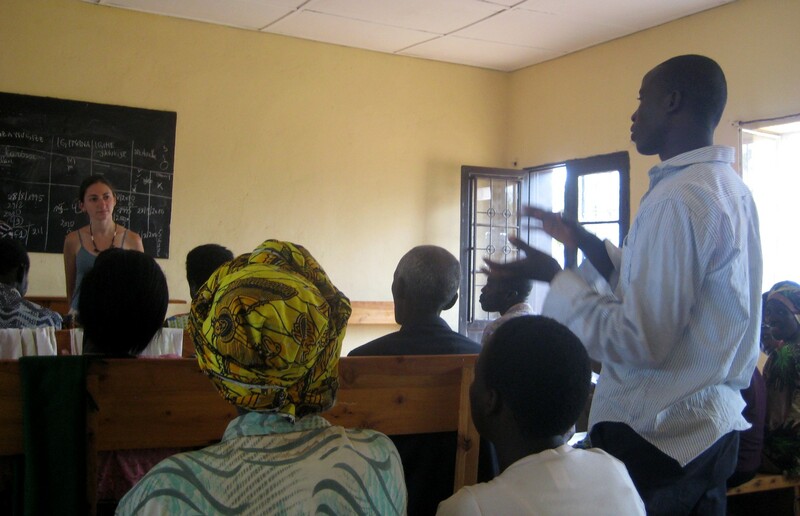 Over time GHI plans to teach in the field the 10 lessons the field officers learned. GHI also has committed to translating all 16 lessons, which we’ll post so others can pick and choose those most appropriate to their audiences. 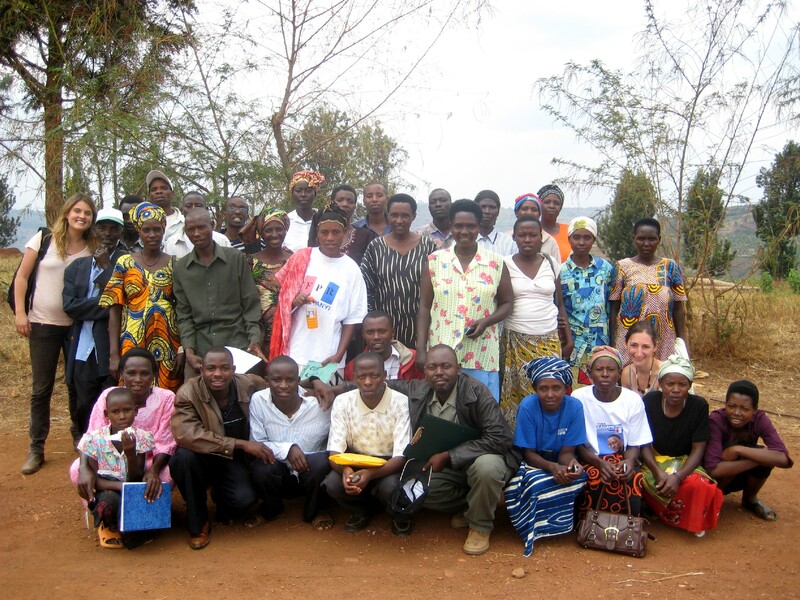 I leave Rwanda confident in GHI’s ability to follow through on its commitments and then some. I look forward to strengthening our partnership. We’ve already been invited back. 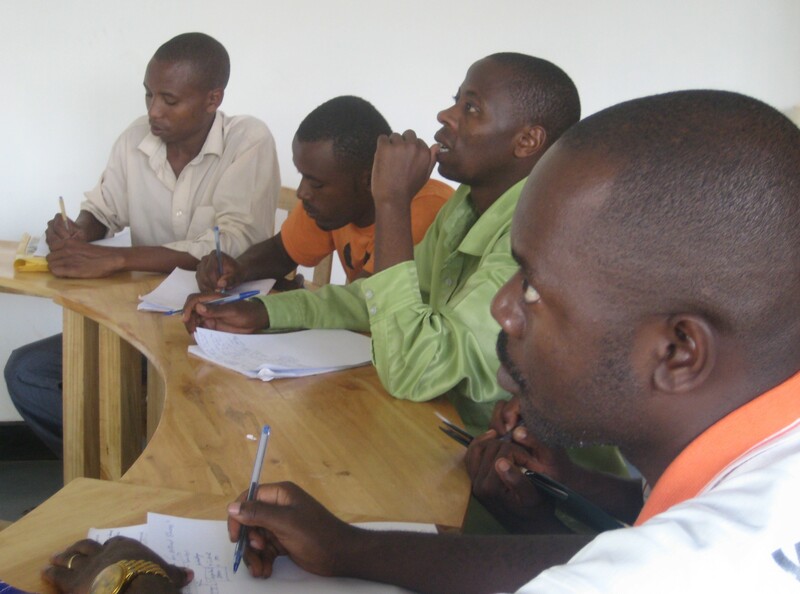 NDERA, Rwanda – The field officers spent a full day training today to prepare for their pilot sessions at the cooperative tomorrow. Today we used two trainers. Evas, who helped Sunday translate the Barefoot MBA and has experience running other trainings locally, this morning taught the remaining four lessons that will become part of Gardens for Health’s adaptation. 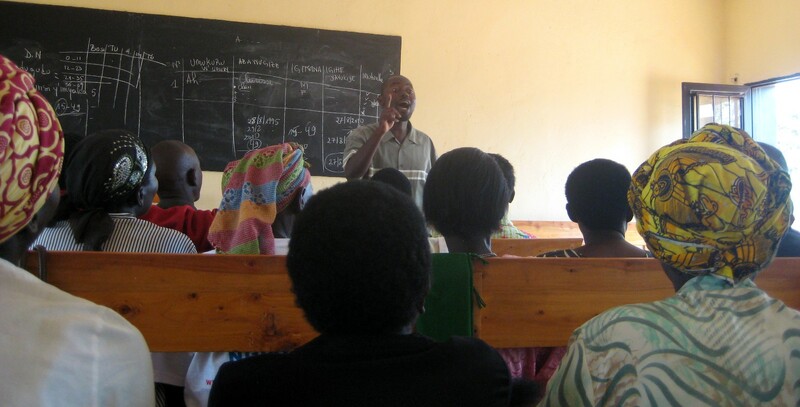 Sunday rejoined the group after lunch to guide the field officers through practice teaching the three lessons they’ll teach to the cooperative tomorrow. 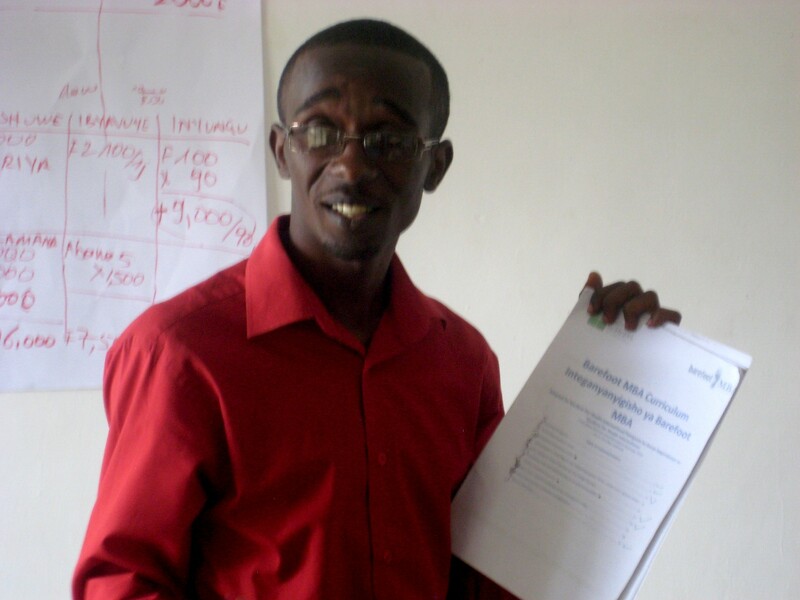 The field officers worked together to make the profit, saving and investing lessons as relevant as possible and then practiced teaching to each other. We started with the stories. They understood. They engaged. 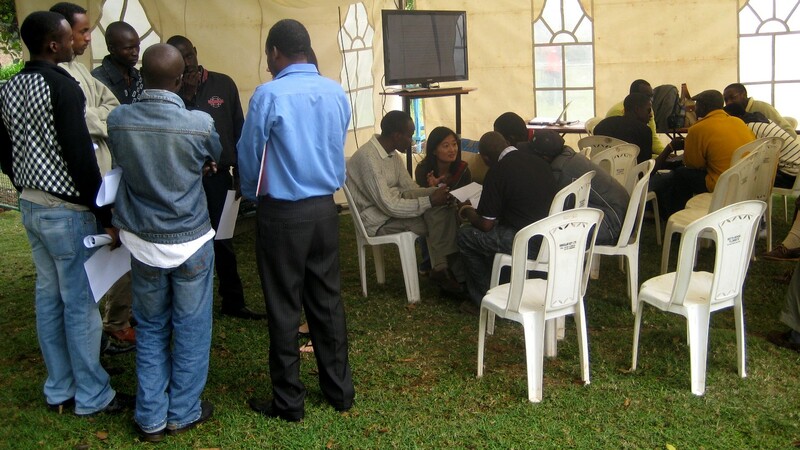 Then we moved onto the interactive exercise that reinforced the lessons, especially investing. That wasn’t quite as smooth. 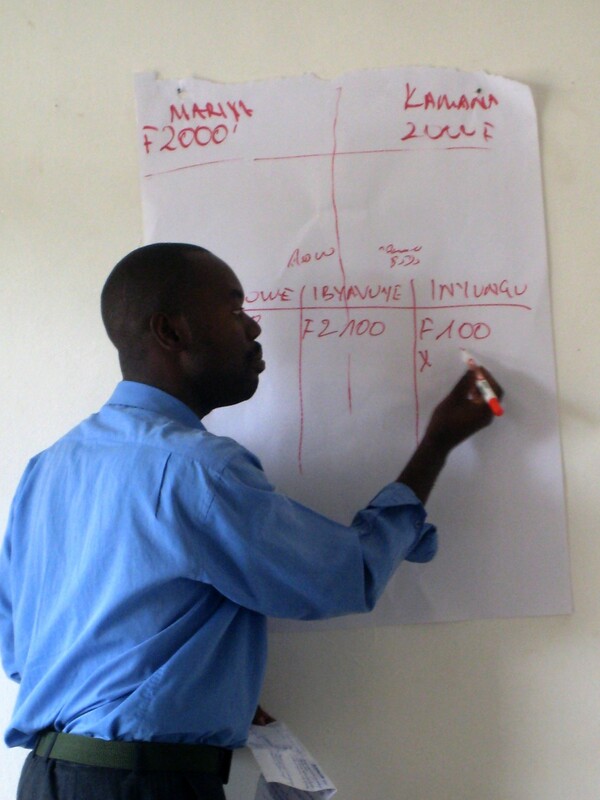 Instead of encouraging interaction by leading the group through the activity, the field officer re-explained the concept of investing using a table that showed increases in value over time. 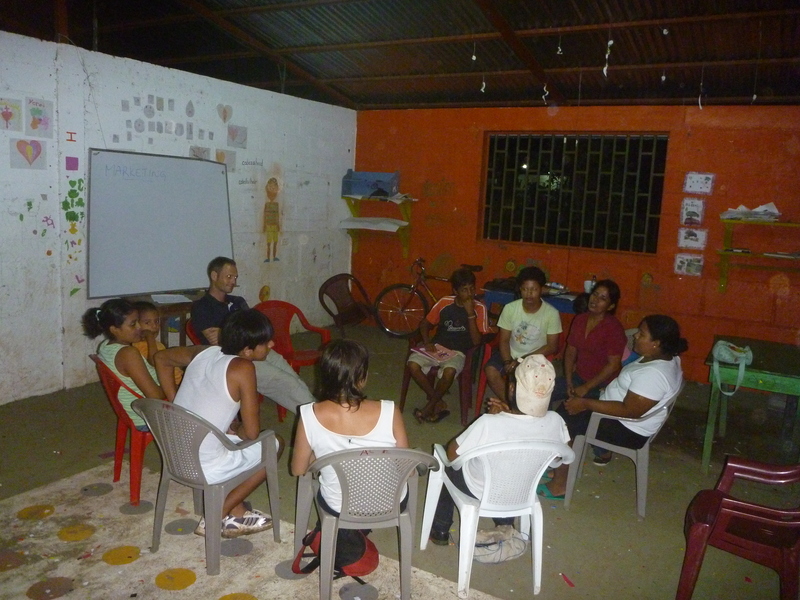 We used the opportunity to underscore the importance of involving participants: The activity engaged the field officers and reinforced the lesson, and we hope it serves a similar purpose for the cooperative members. IN A VALLEY NEAR NDERA, Rwanda – The cooperatives we visited today exemplify the situations we envisioned when creating the Barefoot MBA. More than three years ago, in the comfort of the Stanford campus, we had visions of meeting with groups so far off the beaten path we had no option but to use nature as furniture and shade. 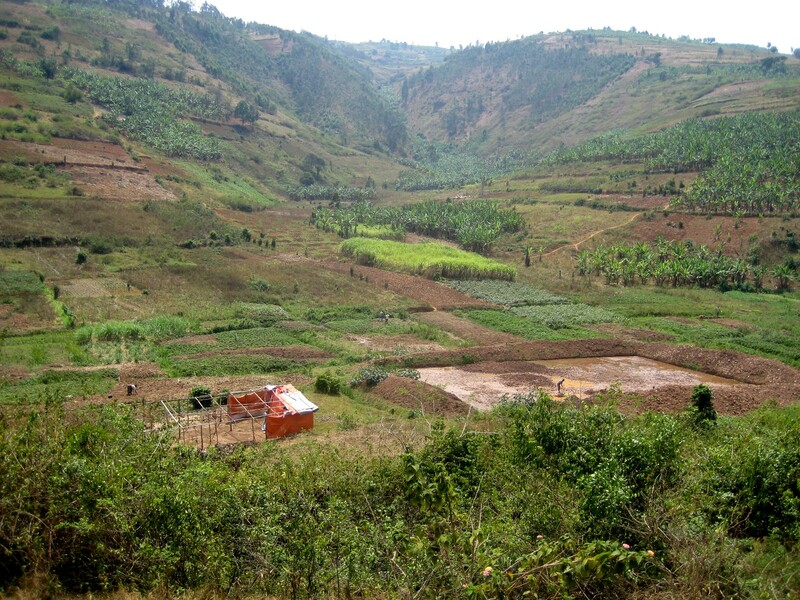 Today, we twice hiked into the valley to meet cooperatives whose most substantive structure is a rabbit hutch. 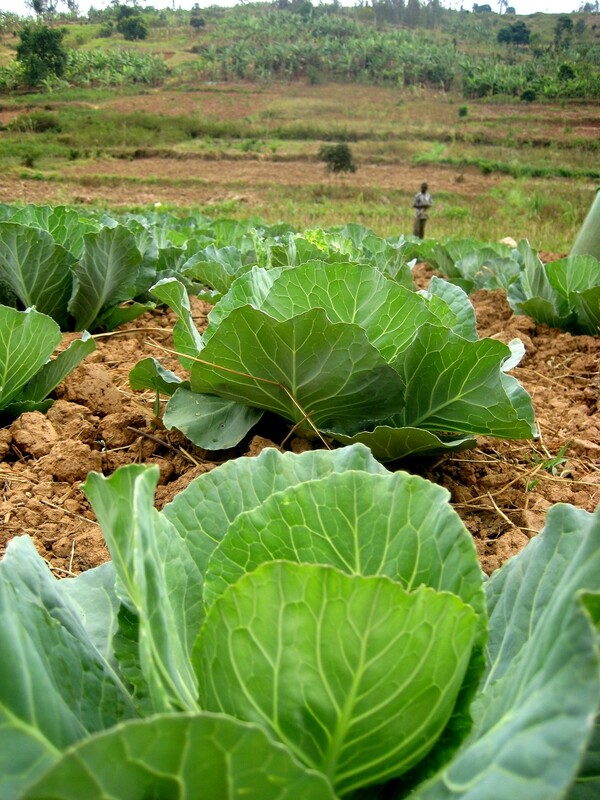 At the first, we walked through an extensive cabbage farm while Modeste, GHI’s first local employee, talked to cooperative leaders about a succession plan for their recently deceased president. 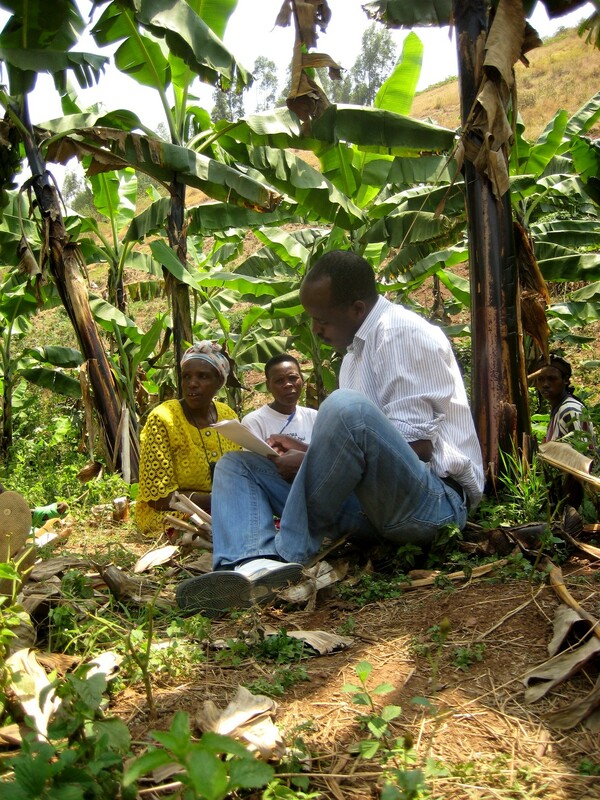 At the second, we sat beneath banana trees as Modeste interviewed members of a cooperative applying to formalize its relationship with GHI. 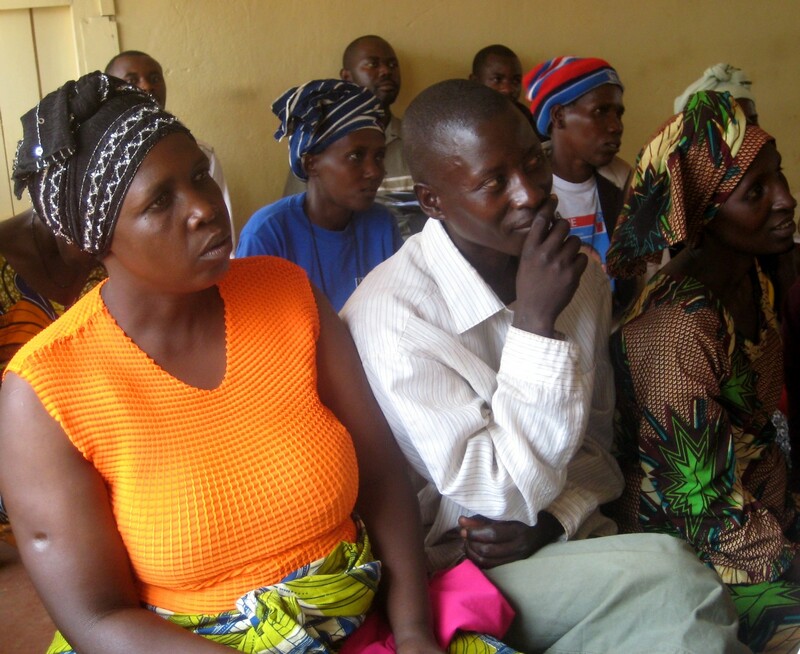 At one point, Modeste asked cooperative members what they wanted to learn. Their first response? Business. On Thursday we’ll return to the first cooperative, where the field officers we’ve been training at GHI headquarters will practice what they’ve been learning. The group used lots of local examples which was great and captured everyones interest. 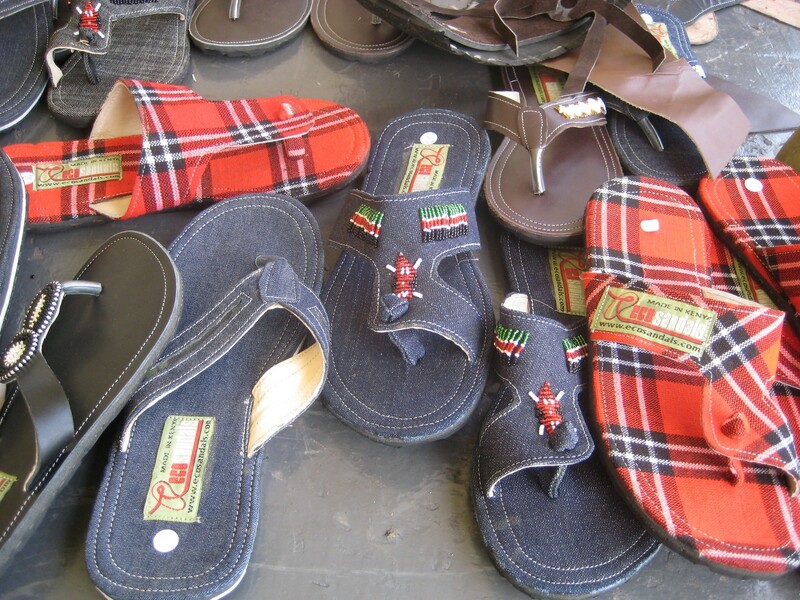 Things like the cost of producing ‘fresco’, of making a pair of ‘pantalones’, creating ‘anillos’ and selling mobile phone top-ups. Having a good activity is key to everyone learning and enjoying themselves. As we are going on further everyone is coming out of their shells a lot more, feeling comfortable with each other and with us too. One of the real benefits that we could see is that the members of the class will feel comfortable to ask the other members, in the future, for business help or advice. We have also found that the more active we can keep everyone, the better. Nicaraguans are very expressive people and, although the group isn’t great with understanding the numbers side of business they love to act out situations. In the class we try and incorporate the hard figures of business while also adding a big element of activity and team work. Note the children in the background of the photo below. As Amy-Ruth says, “here you can’t have a class without the kids coming too!” We look forward to more updates soon.